They remake Ehime's famous jako-ten into jako-katsu. 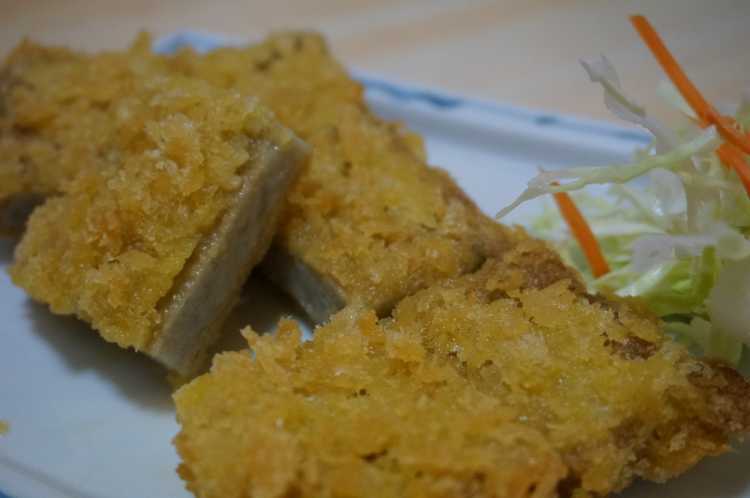 A chewy fried small fish paste and crispy bread crumbs become excellent combination. It's a kind of new local specialty that tastes better than it looks, and it's worth eating so much. 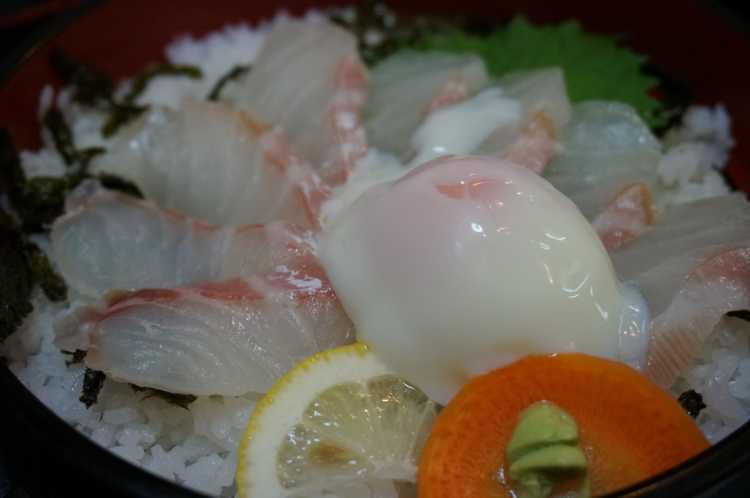 Though many other restaurants use chewy sea breams for tai-don, Izumo-ya dares to make the flesh soft. With little firm vinegar rice and soft boiled egg, Ehime's specialty tai-don creates the excellent balance of all foodstuffs.